Screen Shader is a new feature that adds a layer on top of all your open tabs in your web browser. 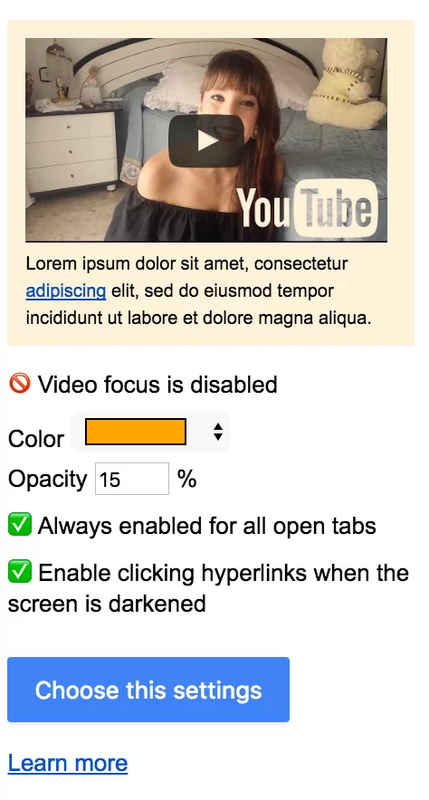 Since the Turn Off the Lights Browser extension v3.4 you can find this feature in the Turn Off the Lights Options page – Advanced Options tab. You get now a yellow layer that is easy for your eyes. This is added on all your open tabs by a single click on the gray lamp button. How enable this screen shader feature? And click in the context menu on the text “Options”. You see that it opens the Turn Off the Lights Options page. And click now from the sidebar on the tab “Advanced Options”. Scroll now until you see the topic “Bulb”.